Let me just tell you, this summer heat has me reaching for the easiest outfits I can find. This growing bump, swollen feet, mood swings…whew!!!! Let’s just say I’m truly earning my stripes, both literally and stylistically. 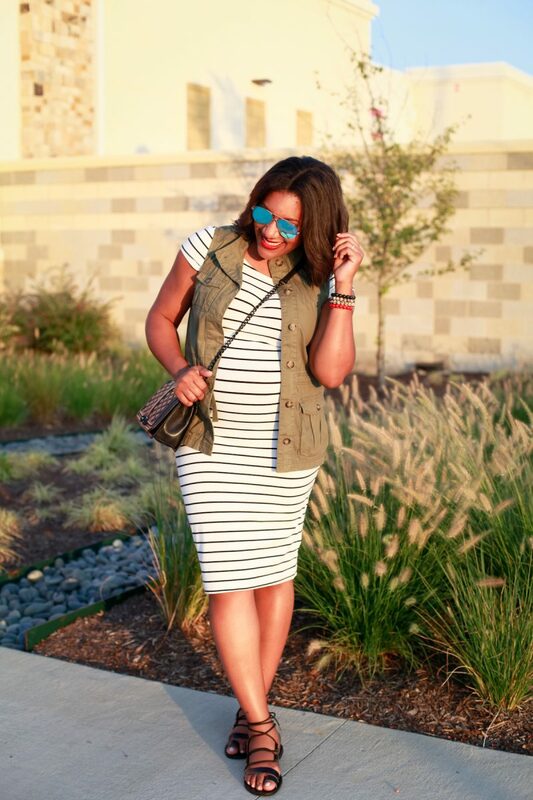 *insert shrug/grin* This striped dress is non-maternity but the bodycon style is stretchy enough for my growing ladybug. I wore this to a shopping event, and I’ve also worn it casually around town. 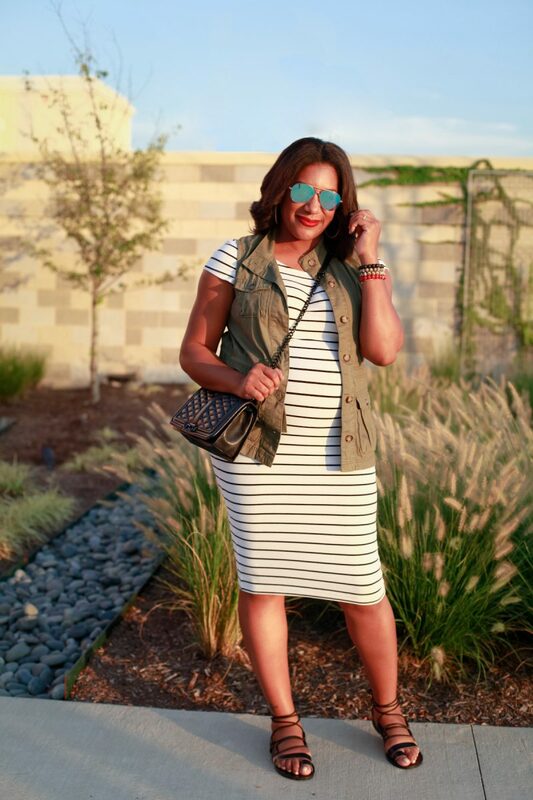 I’ve styled it with a camo clutch and black peep-toe mules (which I never thought I’d purchase…more on that later), but with all of the walking/standing, I decided to go with flat gladiator sandals, a crossbody bag, bracelet stack, and a red lip. Perfect shopping outfit. 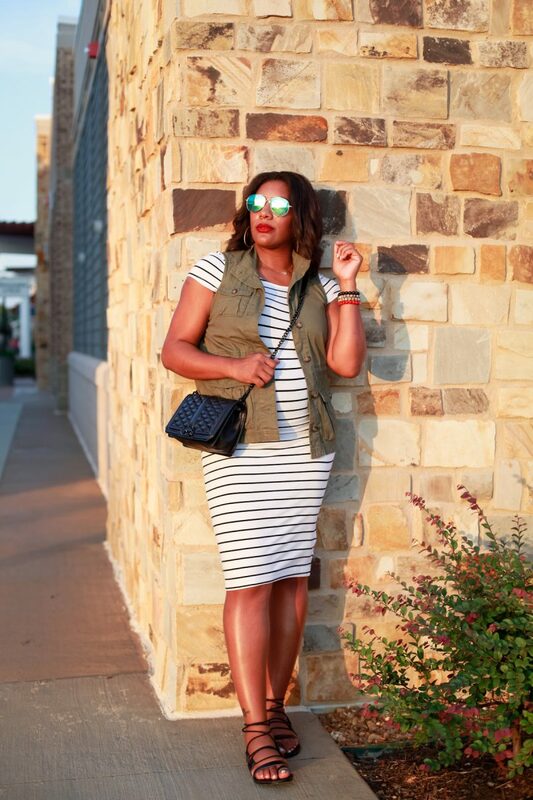 Side note: easy summer outfits can transition well into the fall by simply changing accessories. Picture this same dress with a long sleeve utility jacket, leopard shoes, and a red clutch. Can you see it?? 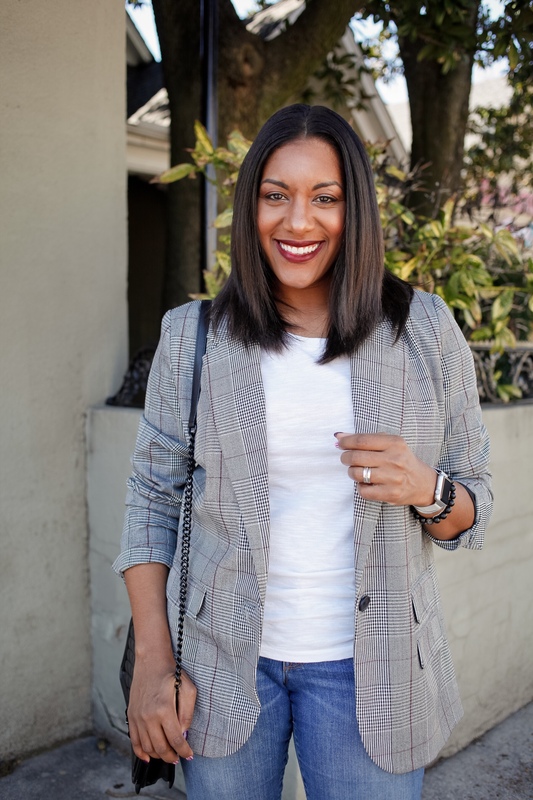 According to Q, easy outfits don’t have to lack style! 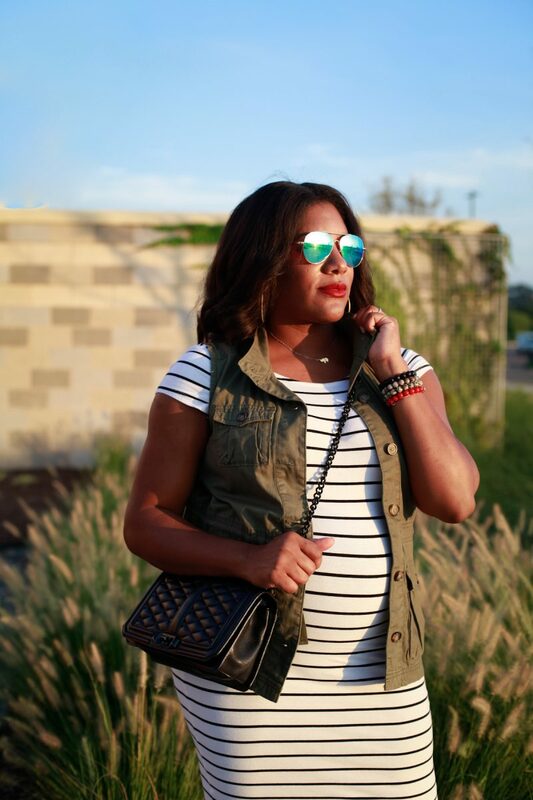 Mixing basics (ex: black & white, army green vest, black accessories) is a great way to achieve easy without the effort. 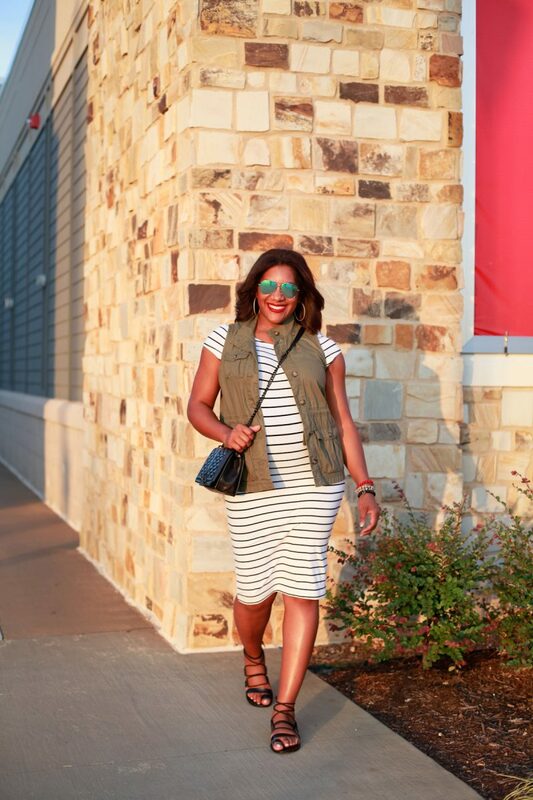 Cheers to easy summer outfits and may they continue through seasons to come!